Goodall Homes Named NHQ Finalist! 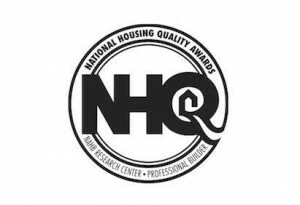 The National Housing Quality Awards, sponsored by Professional Builder Magazine and the NAHB Research Center, is one of the most prestigious awards any homebuilder or trade could earn. The goal of the award is to recognize well-managed home builders who have a strong customer focus. After compiling months of data, Goodall Homes applied for the award and received a site visit, an honor only 20% of applicants receive out of the entire country. Goodall Homes is honored to be distinguished in this way and is excited to grow in providing an overall better experience for anyone purchasing a Goodall Home. Here at locally owned and operated Goodall Homes, we view every homebuyer as part of our family.